Our challenge this week, as spring once again breathes new life into our longer, warmer days, is FRESH. Kiawah Spring (as highlighted by Ailsa on her challenge this week) brings nesting birds, newborn fawns, verdant green grasses and blooming blossoms. But we are right on the cusp of the season at the moment and those wonderful gifts are still a bit elusive. 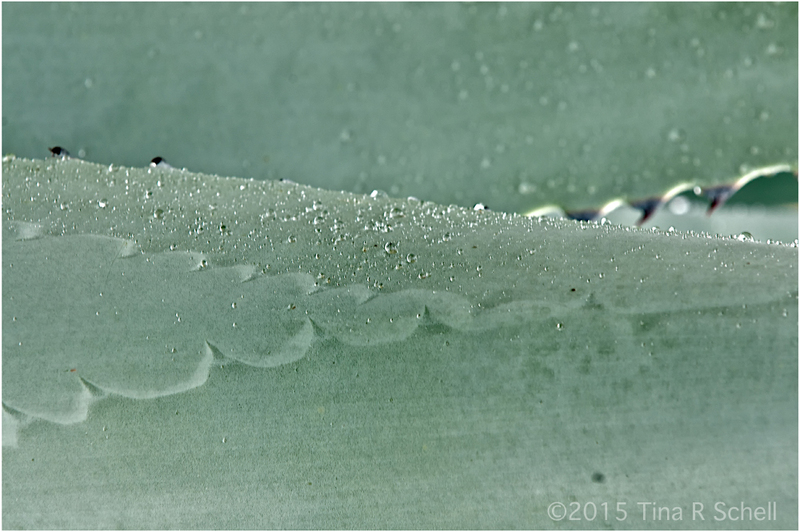 So this week I’ve featured instead a favorite series from last spring – a macro study of an agave plant still showing beads of water from a refreshing spring rain. 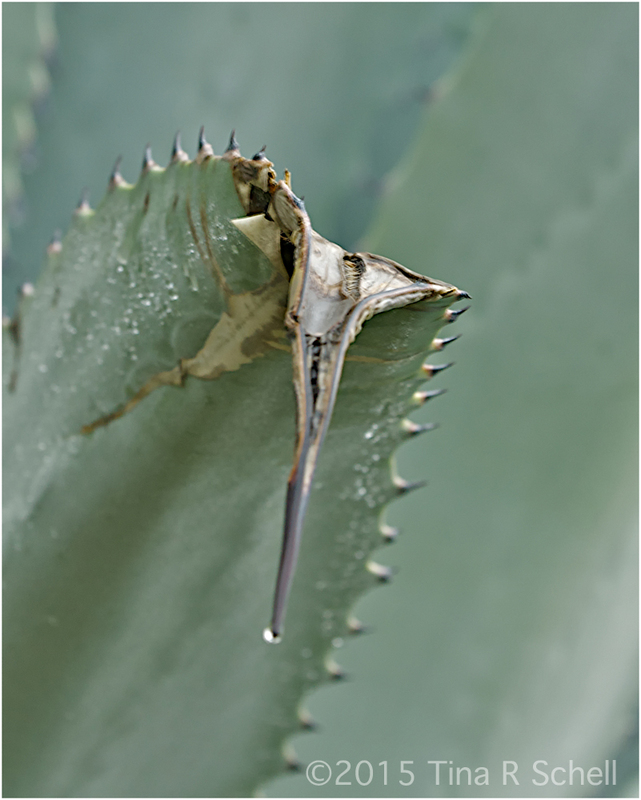 Agave are often thought to be members of the cactus family, I suppose because of their prickly edges. In fact, they are closer to their cousin, the aloe. 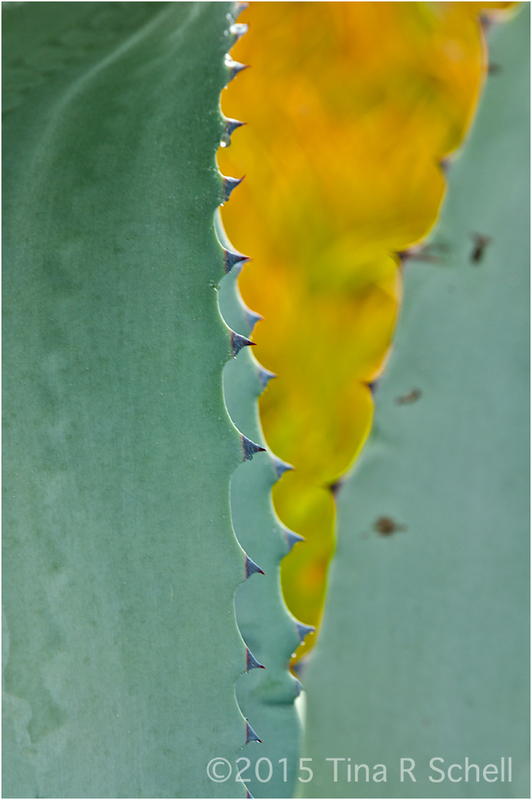 Interestingly, while aloe is often used to treat skin irritation, the agave is known to cause it. A nasty case of dermititis can result from touching the juice of the plant, and its effects can be felt up to a year later. On the other hand, it is known to have been treasured as a food source for prehistoric tribes in the US southwest including the Hohokam and Navajo peoples. 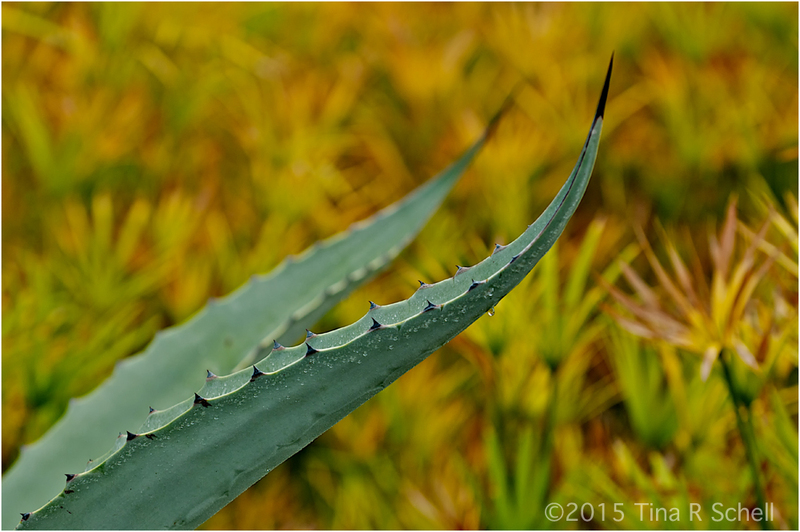 In fact, my agave study resulted from a photo shoot with professional photographer Brenda Tharp, who inspired us take a fresh look at the beauty around us despite the rainstorm that might otherwise have spoiled our sunrise shoot. I will admit, as those who follow Travels and Trifles know, that I am not a morning person. Getting up for a sunrise shoot only to see black clouds and rain is not a combination that puts me in a happy state. But thanks to Brenda’s irrepressible good nature and excellent leadership skills, I learned the look beyond the obvious and find the gifts that the rainstorm brought to us that day. Let us be thankful for the cold of winter; only because of it do we appreciate the freshness of the spring that inevitably follows. Let us also be thankful for the rainstorms of spring, which bring the freshest of her bounty. For more interpretations of the Fresh and Spring challenges, click on the links. What would life be like with just one season…. colours, curves, shapes – these look almost like abstracts. Loving them!